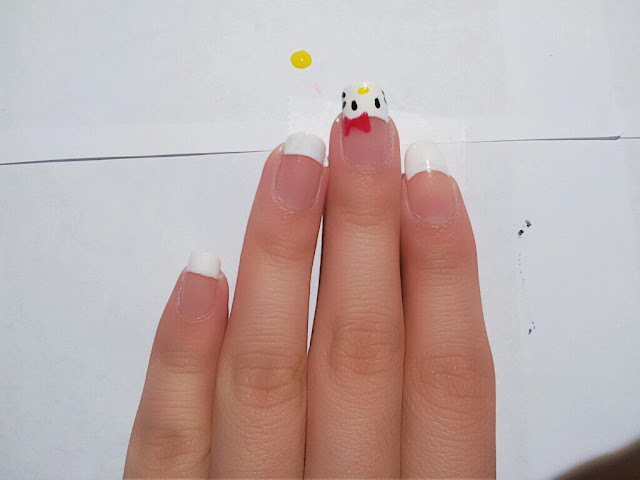 This is my first post on this blog so I hope you like it . Enjoy ! From left : Top coat , Base coat , Black nail polish , White nail polish , Red nail polish , Black striper ( Optional ) , Yellow nail polish , Dotting tool . 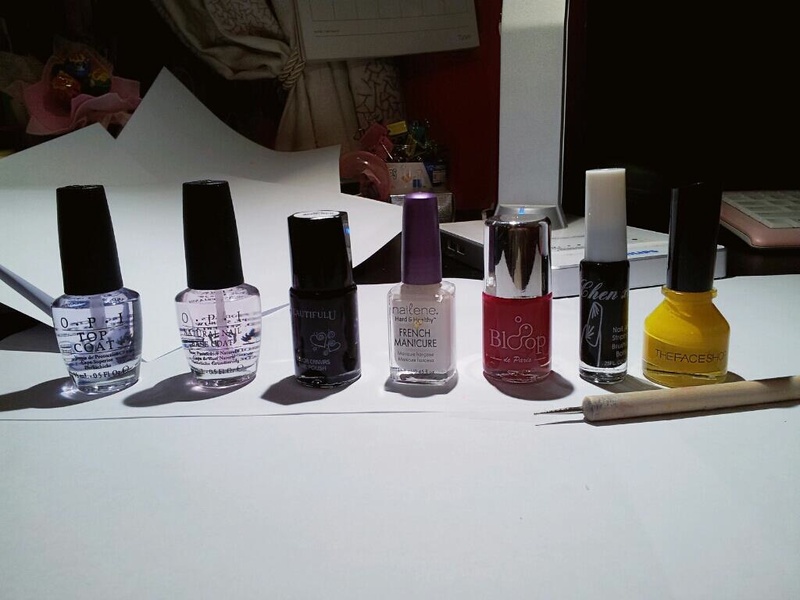 Start off by cleaning any excess nail polish off your nails using nail polish remover . 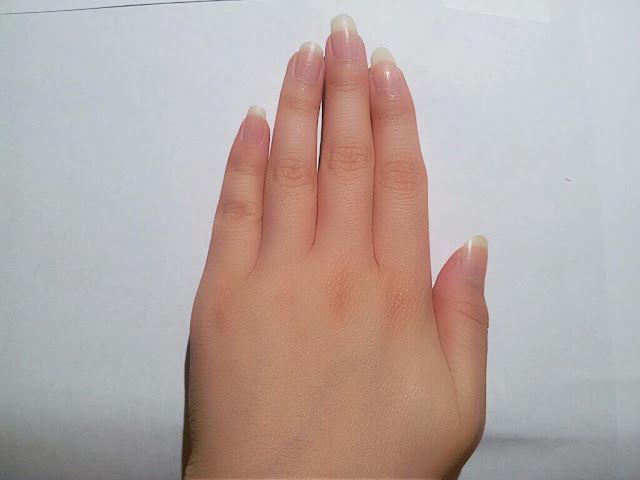 Apply a layer of base coat to protect your natural nails . 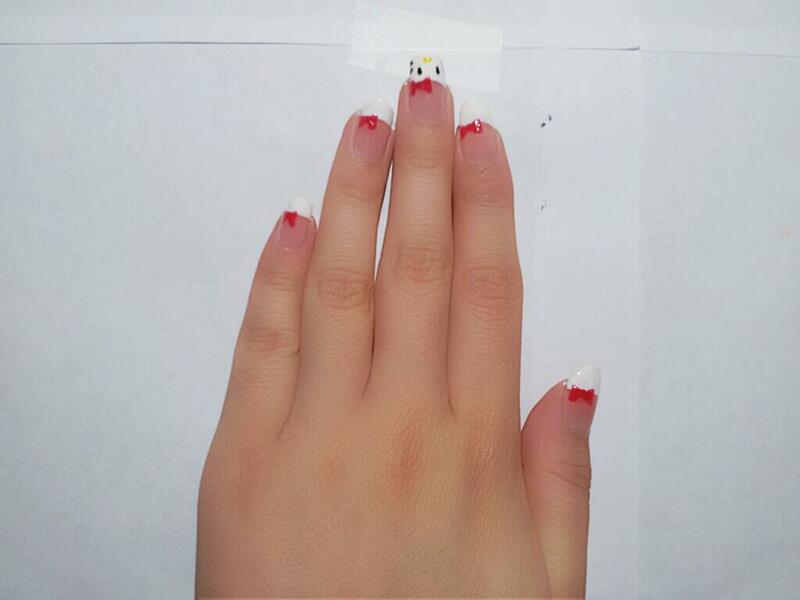 Paint your nail tips white . To create perfect tips, start from the ends on both sides and then join them in the middle . 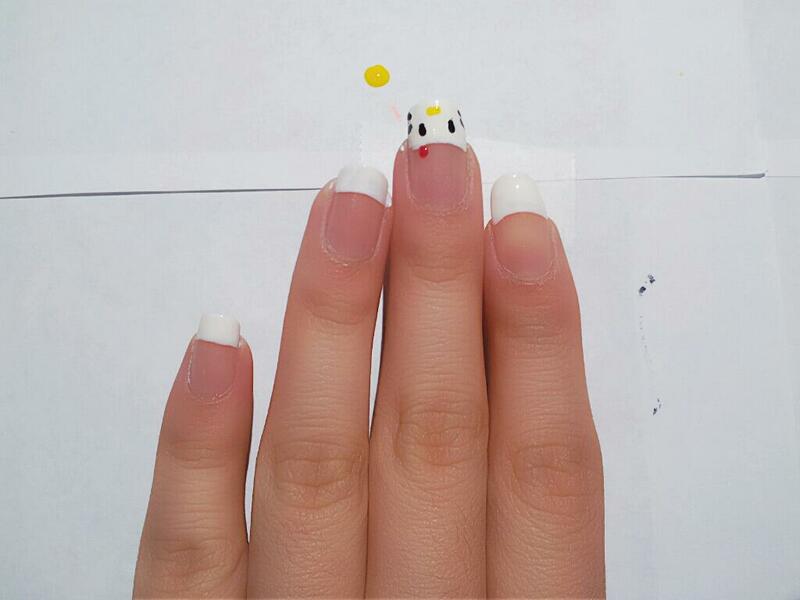 To create those Hello Kitty eyes , use a dotting tool to draw two oval dots on each side . 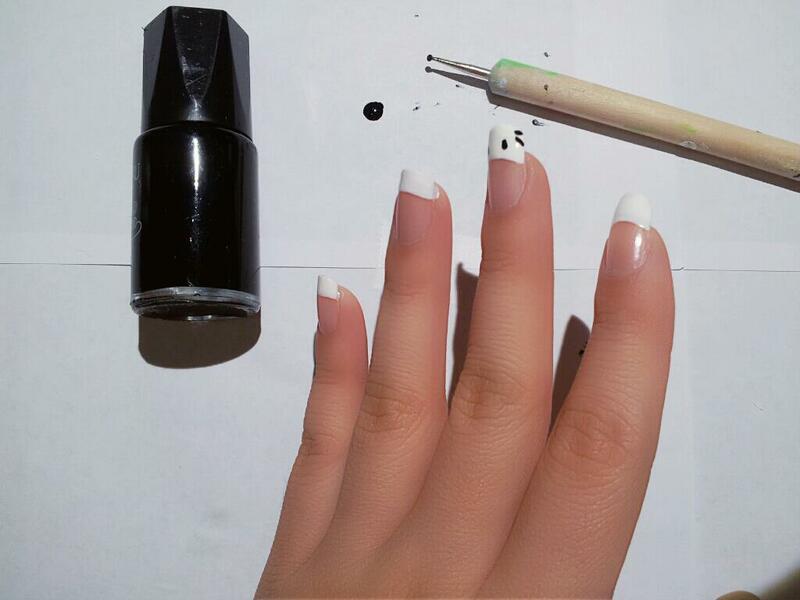 If you do not own a dotting tool , a black nail polish striper would also do the trick ! 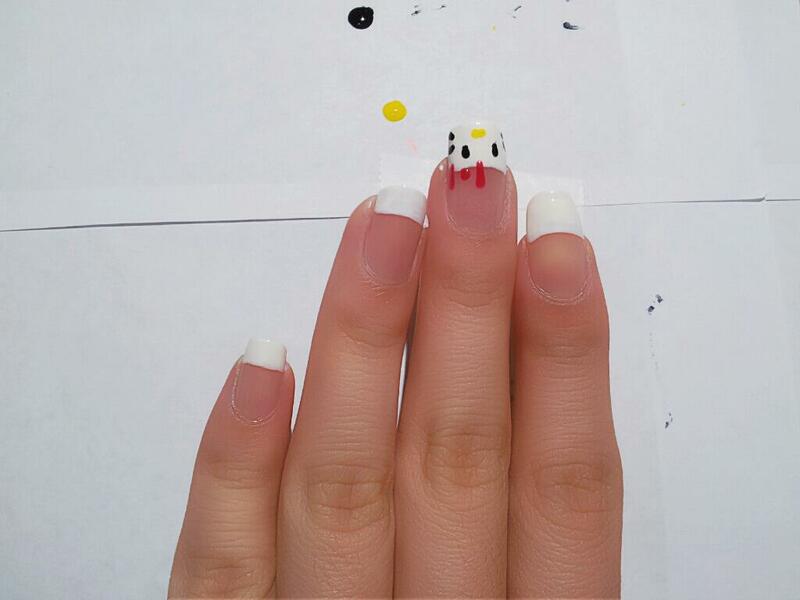 Next, using the dotting tool , create two lines on each side of the nail for the whiskers . 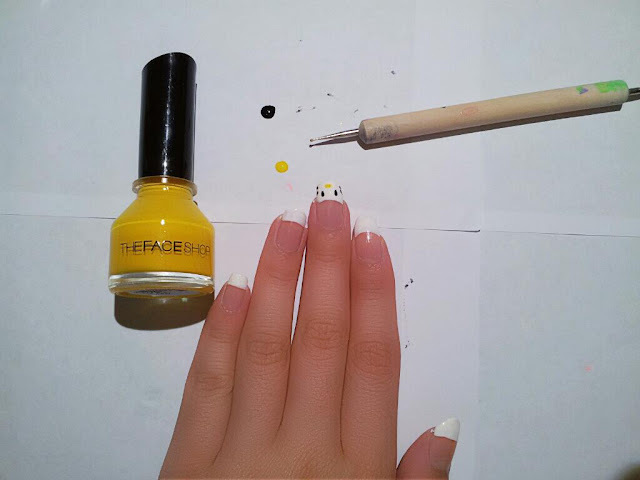 Using your dotting tool again , create a yellow horizontal oval shape right below the eyes for the nose . Now for the bow , start off by making a red dot (or any colour of your choice ) right above your white tips . The size of the dots depends on how big you want your bow to be . Draw two lines beside the dot . Join the lines to the dots by creating a triangle and then fill it in . 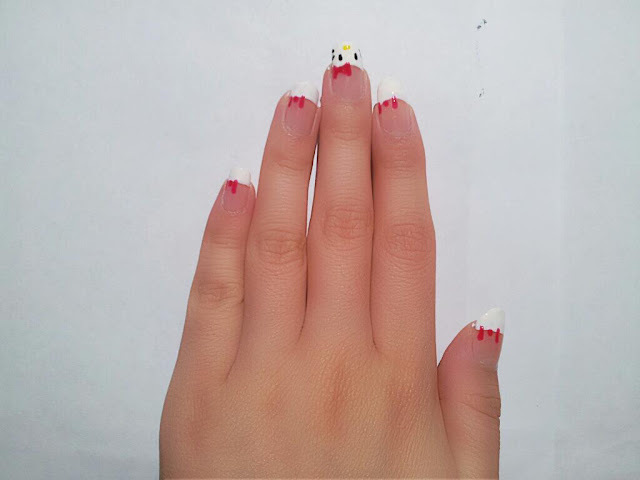 Now you're done with the face of the Hello kitty , you can leave your nails like this if you prefer it simple . 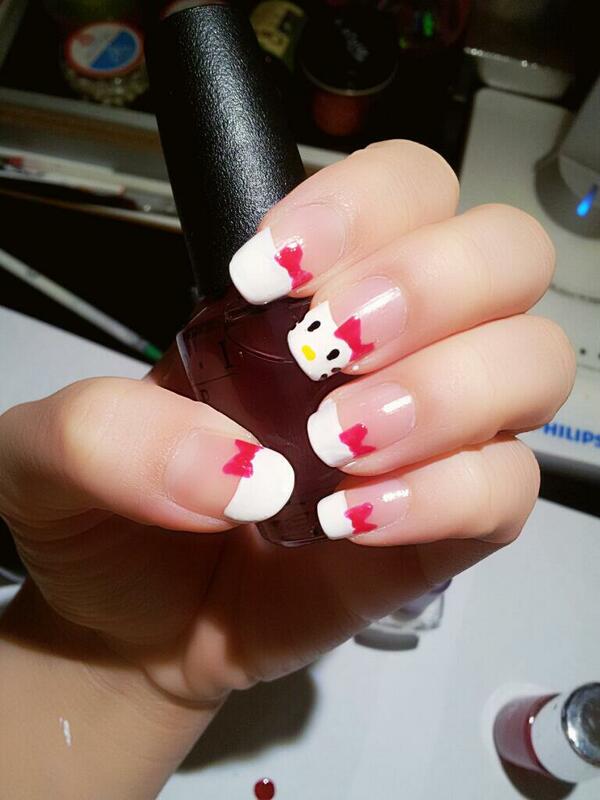 If you want something cuter , you can add bows to your remaining nails . Just repeat the steps on each nail . 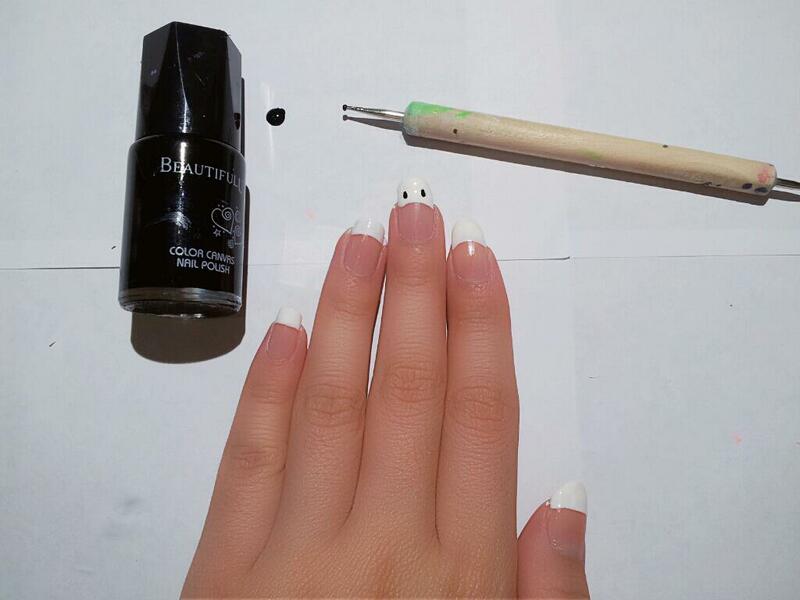 Before painting the top coat , remember to allow your nails to dry for at least 20-30 minutes . 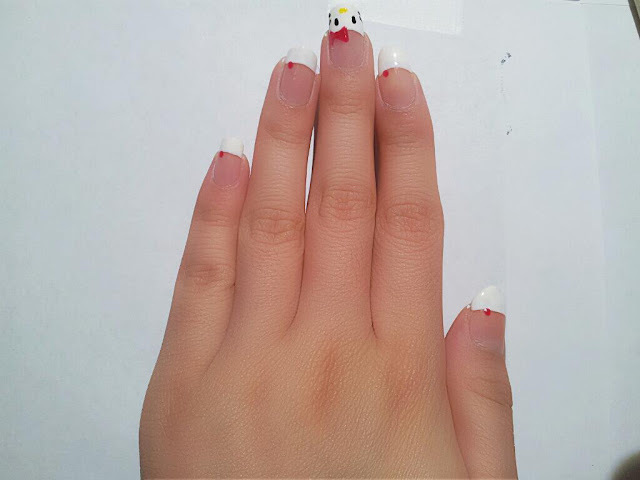 You do not want your design to smudge or mix with the other colours . Its really simple , no more expensive manicures ! Till then , Erin Lim x.